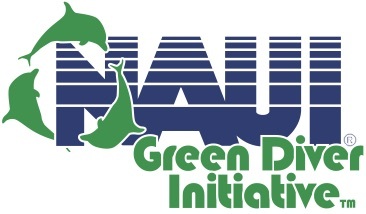 NAUI’s Green Diver Initiative To Sponsor Harbor Clean-Up | Dive Industry Association, Inc.
Tampa, Fla., (May 31, 2016) – NAUI’s Green Diver Initiative (GDI), in collaboration with the Center for Open Exploration (C4OE), conducted a scientific survey of the downtown Tampa harbor and channel waterways on Friday, May 27. With cooperation from the Tampa Port Authority, Tampa Police Department, USCG and other authorities, GDI and C4OE conducted a survey, by boat, of the Tampa harbor. By using underwater cameras and other tools, the team investigated the amount of festival related plastics and other related debris in the harbor. Data was also collected to determine the water quality, currents and clarity to determine if a Green Diver clean-up event is viable in that area. “Our overall goals are to raise awareness in the community about the negative impact plastic waste, specifically the trinkets thrown during the Gasparilla Festival, has on our local waterways and to help provide safe and fun alternatives,” said GDI Manager Sam Richardson. Formed in 2010 by the National Association of Underwater Instructors (NAUI Worldwide), in association with the Disney Worldwide Conservation Fund (DWCF), the Green Diver Initiative (GDI) empowers individuals to preserve and conserve our ocean planet. GDI is open to everyone, divers and non-divers with the common goal of taking action to protect the environment. For more information, please contact Sam Richardson. This entry was posted in Environment, Events & Activities, Press Release, Training & Education. Bookmark the permalink.